Dear Reidar human life is a mystery and what makes human beings more interesting than software, scientific papers, and artworks is that we are mysterious individual that play different roles and engage in different relations. Only those who die young can be forever young. 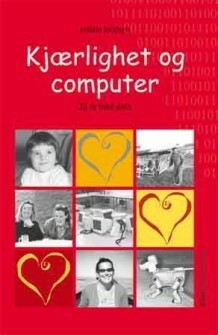 As your last boss I want to thank you for all the resources you have brought to IDI and to the Norwegian and International Computer Science community. I do not say more about this as the whole day is about this. As your last boss I have had one goal. To support you toward a valuable and honorable conclusion of your career. It is not up to me to judge if I have been a good boss. I have always thought a lot – sometimes even too much about you – about how to respect you, love you and be thankful. En flott og verdig tale – for en god og dyktig kollega. Hils ham fra meg her i Atlanta!